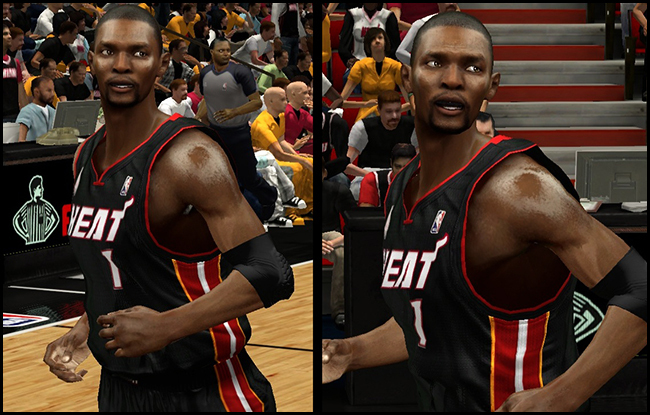 Description: This patch gives Chris Bosh of the Miami Heat a new cyberface and adds a mouthpiece. The mouthpiece is actually a modded headband. In order to use the mouthpiece, go to "Options" - Manage Roster - Rosters - Miami Heat - Chris Bosh - Choose "Edit Player" - Go to "Gear and Shoes" tab and assign a headband. Note: The mouthpiece will appear white if you're using the home jersey and black if you're using the away jesey.